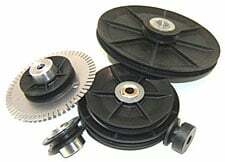 Whether an application calls for a custom pulley solution or just a reliable pulley, finding the right pulley for the job is essential to the success of the application. Over the years we’ve helped a lot of companies find their perfect pulley solution, and we wanted to share with you some of their stories so you can see the diversity of pulley applications and solutions! 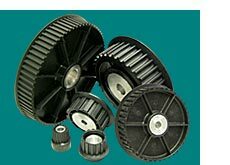 Multi groove pulleys are a benefit to many applications because they allow for smaller diameters than traditional V belts. 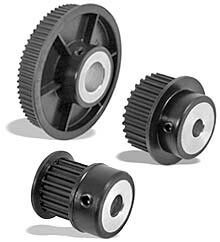 Multi groove pulleys also typically allow for large speed ratios and higher power transmission capabilities. Torque Transmission supplies Hi-Speed Checkweigher Co., Inc., an Ithaca, N.Y.-based manufacturer of food handling and custom checkweighing equipment, with 20 different XL reinforced nylon pulleys with stainless steel hubs. Mexico Plastics, located in Mexico, Mo., relies on production/conveyor systems to produce from plastic sheet the bags used for individual newspaper delivery.